We've also got all four trailers uploaded with Japanese subtitles on niconico! You need an account to watch it there, so the links below are to a mirror where you can watch without an account. Not only that, but there's now also a translation by maxiburger of the Japanese comments left on those videos! Thanks to Tom S. Fox for sending it in. Hey! 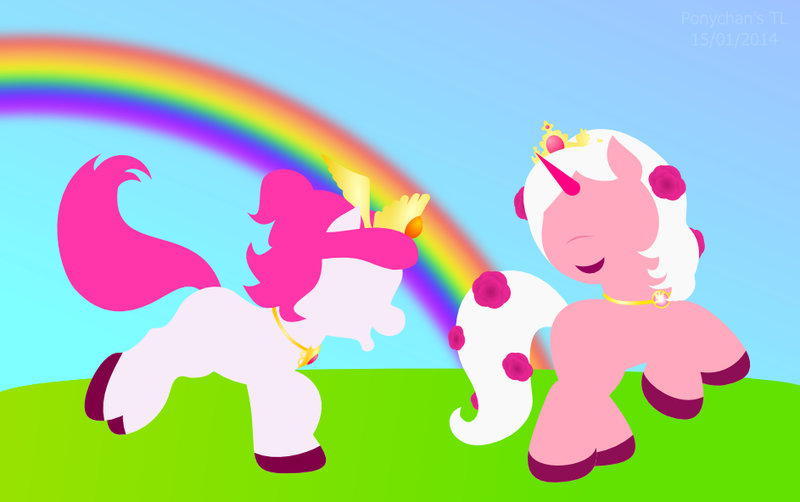 It's time to check in on what's happened in the world of Filly Funtasia art since our last post. If you want to see that and the other old ones, the art category is an easy way to find those posts! Filly Funtasia to Air on Vme TV in the U.S.
Looks like we have another channel! Previously, we've seen an article suggesting Filly Funtasia will air on Clan TVE in Spain, now there's a Yahoo! Finance article saying Filly Funtasia is coming to Vme TV in the U.S.! Since that's a Hispanic channel, that means it'll most likely air in Spanish. We also know the show is being produced in English and German, but there's yet to be any information about where those versions will air. 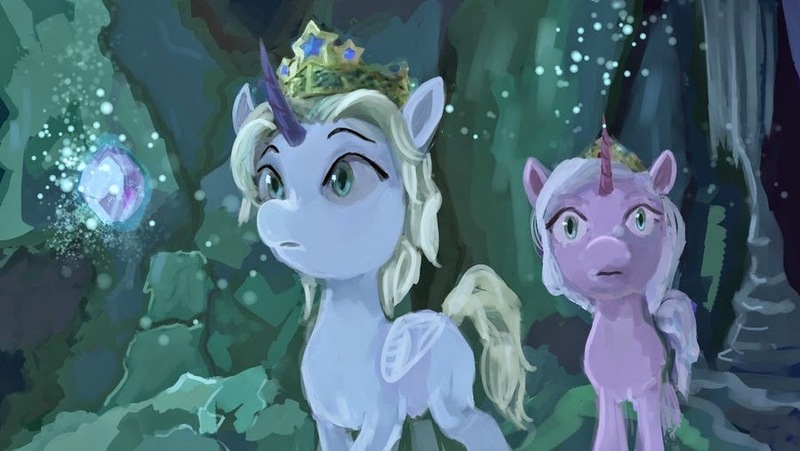 Lately there's been more Filly Funtasia discussion across the internet than usual - but a lot of people seem confused about some of the details of the show. We've posted a lot of information on this website, but as of writing we're at 68 articles (not counting this one) - a bit hefty to read through when you're just trying to find out what this Funtasia thing is! That's the idea for this FAQ - a quick way to get up to speed with the gist of what's known. Read it all, after the break. Yep, it's been a whole year since the day Funtasia Daily first started! Now that we've all had a few days to calm down after the new video, let's take a closer look at it. There are several interesting things in the trailer - it's the second one after the very first one to have dialogue, it's the first one to show a long, (seemingly) uninterrupted sequence from an episode, and it was released to Funtasia Daily first, which was really cool. Senpai noticed me! The video itself was noticed by plenty of other people too - it's the first one since the very first trailer to make the rounds on the websites of that other fandom. To all my new visitors - welcome. 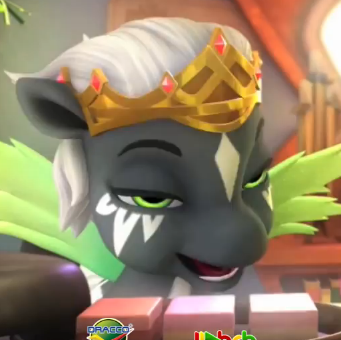 Be sure to check out the third trailer if you haven't seen it yet - it got a lot less attention in the ponynet than the new one, but it's certainly worth seeing. The analysis follows, after the break. Yes, you read that right! I am very proud to present a brand new Filly Funtasia video, released exclusively to Funtasia Daily! We'll have a post up analyzing it later, but for now, let's just enjoy it. 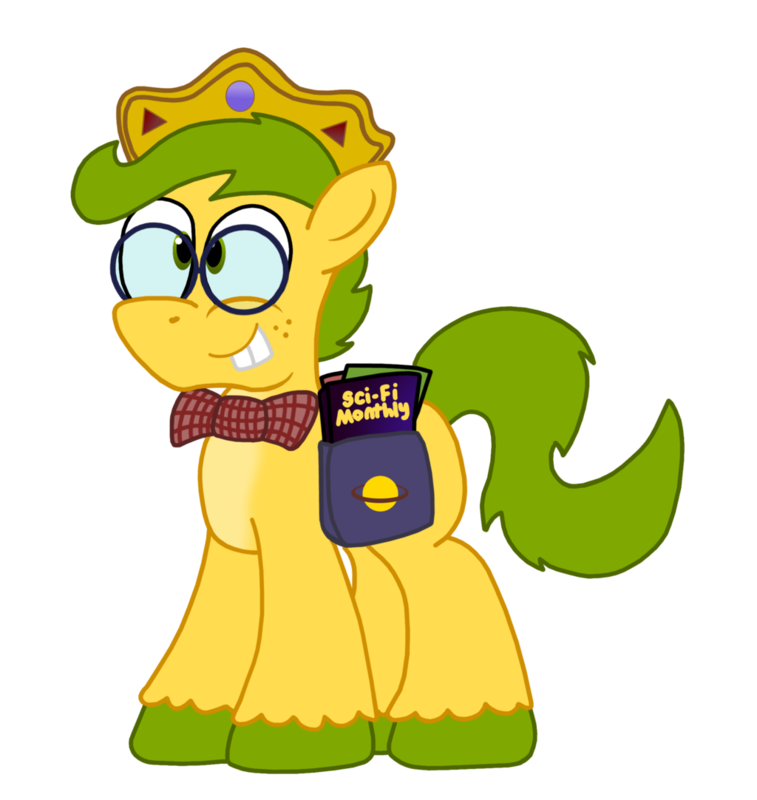 As everyone knows, Filly Funtasia is all about Magic, Spells and Fun. The official description for the show says that "the Fillys enjoy everyday school life, learning to master their unique, and magical, crystal powers -often with rather unexpected results- in these coming of age sitcom stories". Now, I don't know if there's been any reference to "crystal powers" so far in the toy canon, but they certainly describe quite varied magic! It appears so far that the show will mostly follow the toy canon, so what can we expect the Fillys to learn at Funtasia's magical school? Let's take a look. Do you like Filly art? I like Filly art. 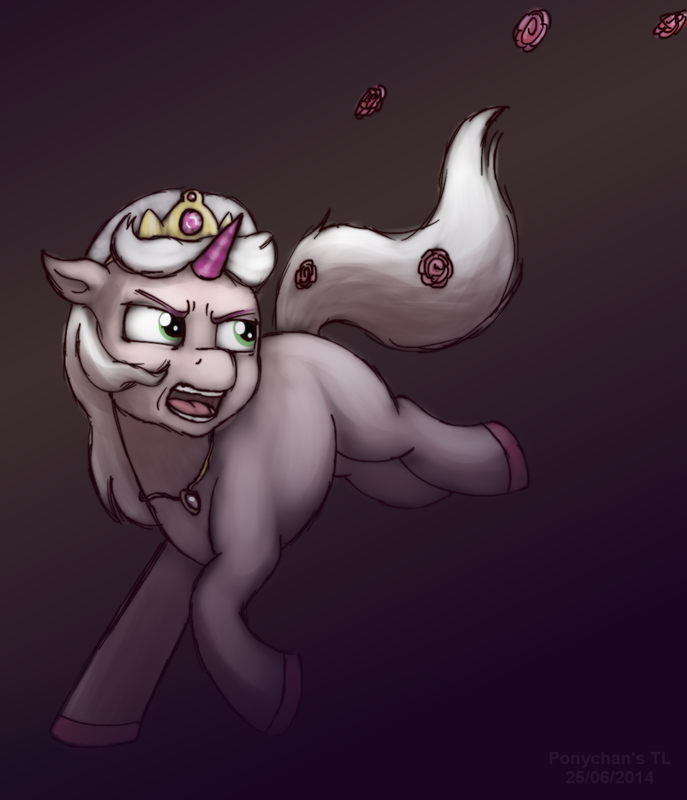 Let's look at some Filly art. Here's one for everyone who liked the music from the third promo. Youtube user Zejgar has created an extended mix that hints at what the full length version of the song might sound like! Check it out after the break. Everyone who's watched the Filly Funtasia trailers knows that there's plenty of logos overlaying the videos. But are logos... evil? The very silly Symbolic Attack tumblr has the answer. Check it out. But everything changed when the Logo Nation attacked. We've got two fanfic submissions today! There's a second music video out from Filly Funtasia Fun! Check it out, after the break. Yes, after monthly roundups, it's time to move on to seasonal roundups. Such is the pre-hiatus. Let's get up to speed with all that's happened since our last post. 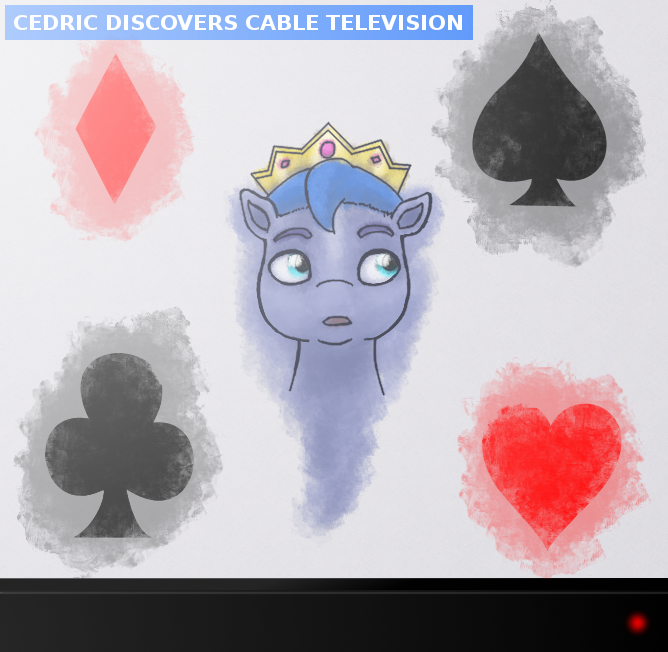 We've got two new Filly articles to post! The main bit of news in them is that Filly toys are coming to McDonald's in Germany this summer and that Dracco will exhibit Filly at Licensing Expo 2014 (June 17-19 in Las Vegas). It's probably unreasonable to hope for a brand new promo so soon after the last one, but we may get some other info about the show. The first article is from License! Global and also mentions that there's apparently already plans to (possibly) make Filly Funtasia DVDs and movies, too. It gives the release date as a simple "2015". We've got yet another screenshot of Filly Funtasia 3D props, along with some possible hints for episodes of the show! Check it out after the break. Now that the trailer has been out a while, let's go through the contents of it! Lots of pics and words, after the break. As a sequel to the document analyzing the first trailer, DeviantArt user Xeregon (also known as RaichuWizDom) has written up a second PDF analyzing the new trailer! It's 23 pages of screenshots, analysis, opinions and speculation and is available here. It's happening! 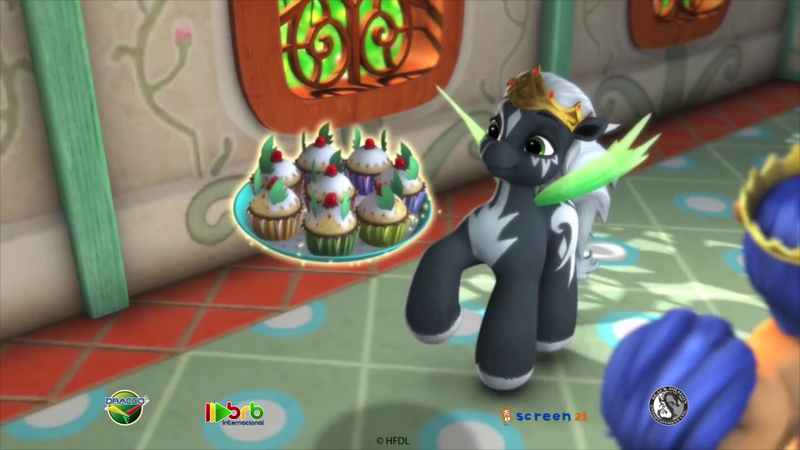 BRB has released a new show reel which contains lots of new Filly Funtasia footage! Check it out after the break! So apparently there was a thing called April Fools' Day a couple of days ago, and a bunch of brony websites decided to pretend to be about the Competing Little Girls' Horsie Show© for the occasion. There were a whole bunch of them that did this, most of them just being simple announcements, so we'll compile the highlights that really stood out in this roundup, after the break. Fansites for a show that won't be released for another year? The very concept is preposterous! Oh man, what happened to the website? I don't even know. Let's get back to Fillies by catching up on some submissions I've forgot to post, after the break. Looks like it's been delayed again! We recently linked to a blog post which previously mentioned a possible air date in late 2014, but it's been updated to reflect that the show is now expected to begin airing in 2015. Brand Licensing has also updated a press release that mentions a 2015 air date. More after the break. Looks like we have further confirmation that Filly Funtasia is coming in late 2014! Filly was recently showcased at the Spielwarenmesse toy fair in Nürnberg. More info after the break. We added a link to a Filly.com mirror called Myfilly.com in the sidebar a while back, and now it seems like it's going to replace the original site entirely. 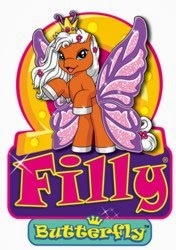 User accounts created on Filly.com will work on Myfilly.com and the toy sites are also available on the new domain. There's also a facebook page set up for MyFilly and a brand new twitter account called MyFillyUSA, which might be an indication that they're currently set out to reach the American market. EDIT: I got an email about it! I've included it after the break. We've got a mix to post! Pixeltripper has created a mix and a music video based on the Filly Funtasia trailer, and it's pretty neat. Check it out after the break! We've got a screenshot of some 3D props from Filly Funtasia to show! Check it out after the break. Filly Funtasia in Q4 2014? It seems like we've got some potentially bad news. Although the only official release date for Filly Funtasia has been "2014" so far, a comment in the compilation of BRB YouTube comments made shortly after the release of the trailer seemed to suggest we may see it in April. Well, a recent interview with Axel Derendorf of Dracco in License! Global had this quote: "Further adding to the Filly furor are plans for a new animated TV series, "Filly Funtasia," which is set to debut in the fourth quarter." Read more after the break. Let's do another one of these! We had a "Monthly Roundup" last month about all the small bits of news that didn't really merit an article of their own and once again there's a few tidbits for your perusal, after the break. It's time for some more fanart! You'll find it all after the break. 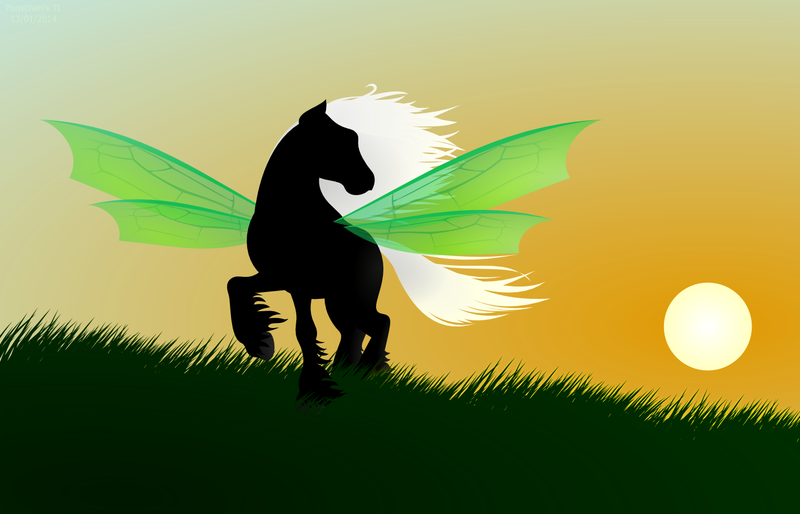 This first image is by Ponychan user Time Lord who also created our new site banner! It's time to delve into the world of the Filly toy line yet again! The new seasonal Filly toy for 2014 appears to be "Filly Butterfly". Just like the other kinds of Fillies, it has a toy site up for us to explore, after the break. Since the last Filly Funtasia general thread 404'd a few weeks ago, there hasn't been a constant imageboard thread about it. Well, now there is one once again! A new Filly Funtasia serial thread called "Fillychan" has been created on Ponychan's /gala/ board where you can discuss anything Filly Funtasia related. You can find the thread here. You can also find it linked in the sidebar to the right of this website. The TV magazine TBI Vision is another one of the publications that have written an article about Filly Funtasia. The article is by no means new: it's actually several months old and has been discussed previously on imageboards; but it has yet to be posted (or analyzed!) on this website. Check it out after the break. 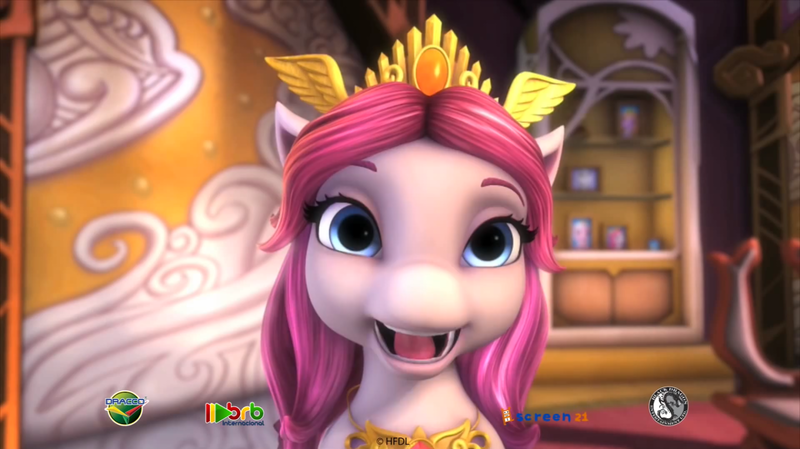 YouTube user ZEO RADAMANTIS has uploaded a subtitled version of the Filly Funtasia trailer in Spanish to YouTube for all of you Spanish speaking people out there! Check it out after the break. We've previously analyzed some of the information available on the sites for the different Filly toy lines on dracco.filly.com, but we haven't delved into the main site on filly.com yet! To save the readers of this blog from having to browse through an all-Flash website with autoplaying sound, the findings are summarized after the break.